– Dianne St. John has been promoted as Vice President of Human Resources, continuing in her long-term role overseeing all human resource functions for CGI. She will become a member of the company’s Senior Management team. Prior to joining CGI, Furlow served as the Vice President of Planning & Operations for AEG Sports where he managed the global operations, vendor relations, budgets and the TV Broadcast for The Amgen Tour of California, the largest cycling race in the United States. During his tenure with AEG, Furlow managed many events such as Stars On Ice, AVP Pro Beach Volleyball Tour and the World’s Toughest Cowboy Rodeo as well as many other Live Touring events worldwide. 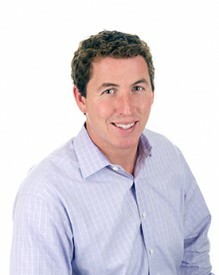 Prior to joining CGI in 2013, Dunne was the as most recently the COO and Managing Director (US/EMEA) for Lavastorm Analytics, a global business analytics software company. His 25-year career includes executive roles at Nextlink Wireless, RCN Corporation, Nextel Communications and Bell Atlantic/Verizon. St. John joined CGI in 2009 and is a certified Senior Professional in Human Resources. She previously served as the Director of HR for McCarthy & Holthus, LLP and The Active Network.